The only time I have used Shampoo bars was when my better half bought back the solid shampoo bars of Lush from his travels abroad. I’ve used Jumping Juniper, Godiva and Trichomania. When these solid shampoos are combined with their solid conditioner Jungle, you could never have a bad hair day! 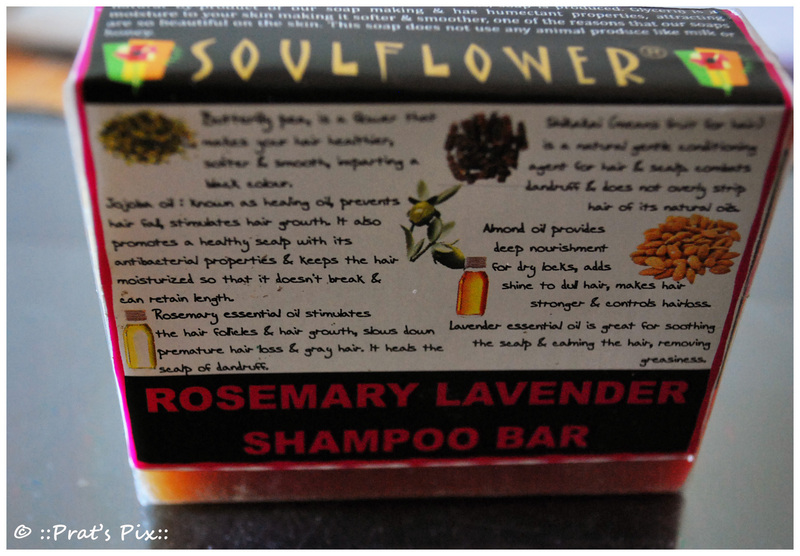 So, when I saw the solid shampoo bar by SoulFlower called the Rosemary Lavender Shampoo Bar, I decided to give it a try. I bought this from Natural Mantra ( Haul 1 of Natural Mantra) along with the other products. Till now, all that I had used from Soulflower was their essential oils and their bag of dried flowers with different fragrances which I totally love. This was the first time I was trying a bathing product and I must say I was a tad disappointed. It is quite a handful, literally! 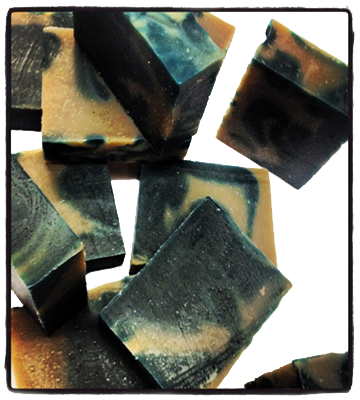 I like the fragrance and one feedback I’d like to share here is that it takes ages to lather! So if you want squeaky clean hair you will need rub it in your hair for quite a while till it lathers. The fragrance it leaves is quite light and a couple of hours post the shampoo, the fragrance is almost as good as gone. I like fragrances that linger. So that is again a major drawback. You will need to follow this hair wash with a conditioner or else your hair is going to feel really dry. If you don’t have one as yet invest in a *good one*. I used the Barnängen aloe vera yogurt conditioner. I am not sure if this brand is available in India. Also I was not very sure which Soulflower conditioner would go with this shampoo bar. I’d be glad if someone from Soulflower recommended a conditioner to go with this! How to use: Use for normal to oily hair. Rub the bar between your hands & apply the lather to your hair or rub the bar directly on your hair. Work the lather through & rinse as usual. Ingredients : Rosemary & lavender essential oils, jojoba oil, almond oil, butterfly pea herb, shikakai, Vitamin E, glycerin, aqua, olive, rice bran, coconut, castor & palm oil. Where can you buy it? : Just click here. You can buy it at the Soulflower main site by clicking here. Price: This is priced at INR 250 for a 150 gm bar. Will I buy this again: Not really. I quite like the Lush Shampoo bars better. Also this bar made my hair rough. But for those of you have not used a shampoo bar, I’d recommend a try because this lasts longer. But do follow up the hair wash with a conditioner. Pic 2 sourced from the Soulflower site. Great post! Thanks 4 it! Are shampoo bars really effective? Yes, I have used shampoo bars from Lush earlier and I have loved them. The one from from Soulflower left my hair dry because I did not follow it up with a conditioner.